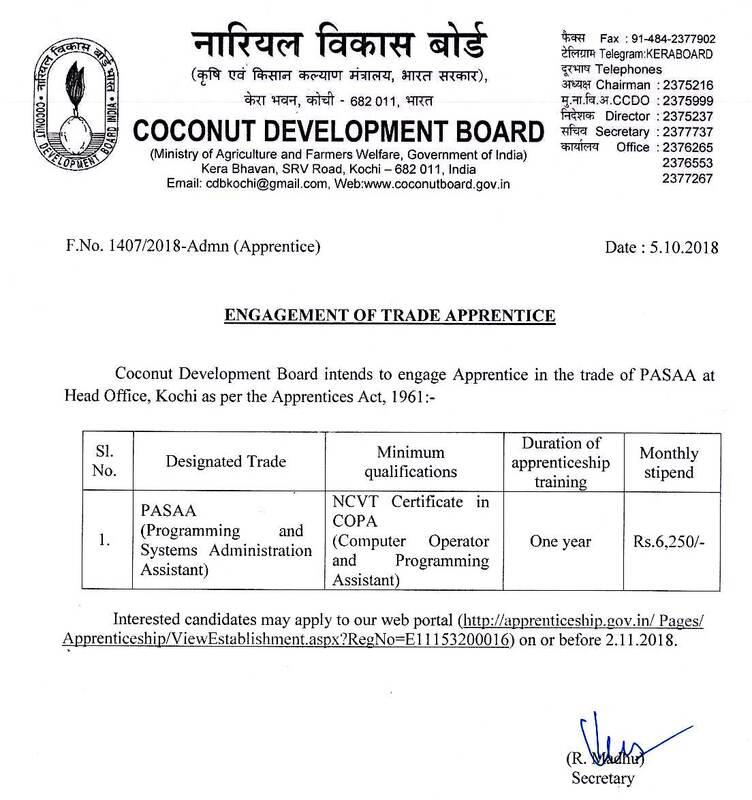 Coconut Development Board has recently advertised An employment notification regarding CDB Recruitment. Online applications are invited from Result oriented and hard working Applicants for filling up Various posts of Apprentice in various disciplines. Essential Qualification: Job seekers should have completed the education as NCVT Certificate in COPA with good academic records from well recognized Board/ University/ Institute as per the applied posts. Monthly Remuneration: Applicants who will be appointed against this recruitment they will attain consolidated salary of Rs. 6,250/- Per month from recruiting organization. First and foremost step you have to take is for opening the official site, which is http://coconutboard.in. Last Date of On-line registration : 02-11-2018. Click Here For CDB Official Notification Link.